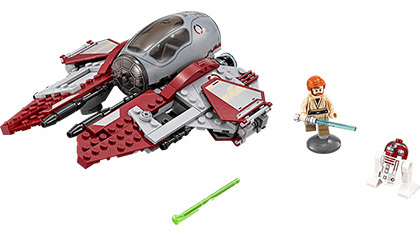 $34.99 MSRP is all that is known for this right now. $19.99 MSRP. 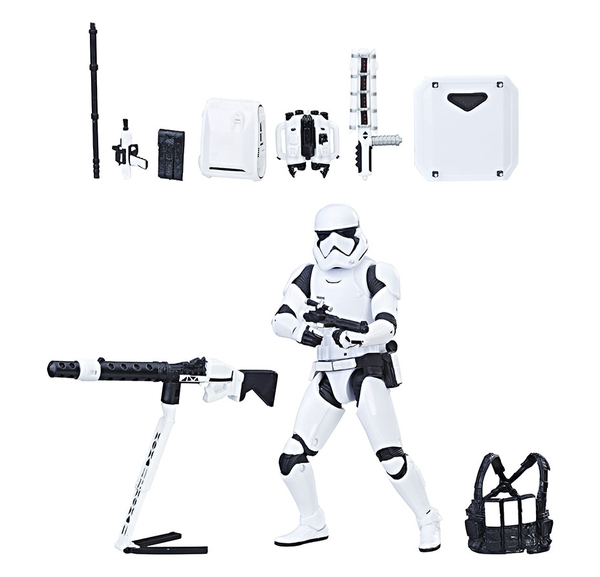 Should be available on Force Friday, but no true word on that. 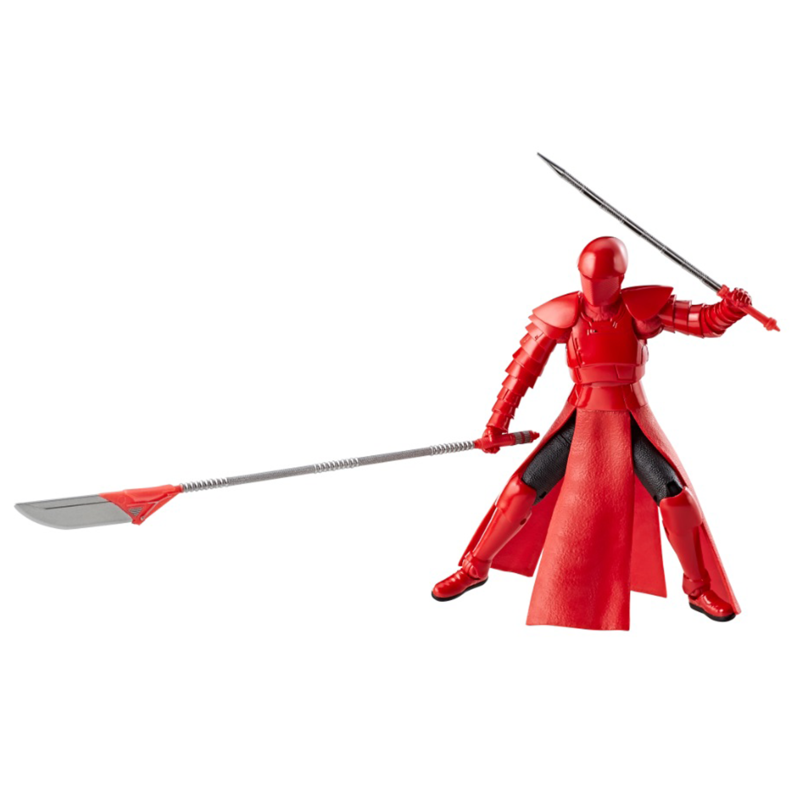 Is anyone going after these Japanese 6 inch figures? So far they have made Deadpool, Spider-Man, and there's a Venom coming next month. 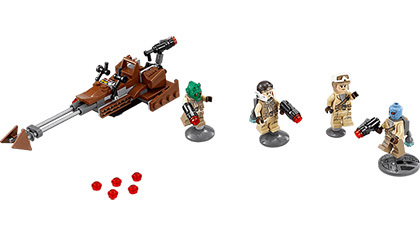 Deadpool sold out but is being reissued in May, which I have on preorder after seeing some in-hand pics. I also want to grab Spider-Man, but he has been discontinued with no planned reissue as of this post. 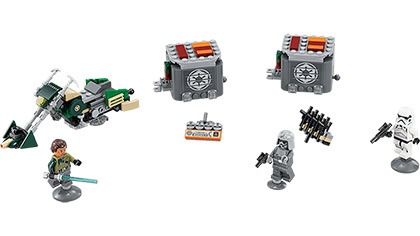 I guess Krennic is better than another Jyn or Cassian but I'd rather have Baze or Chirrut carried over. 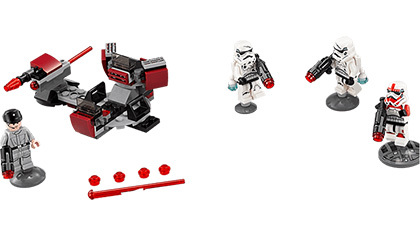 75185 Tracker I: Emperor Palpatine?, Rowan? 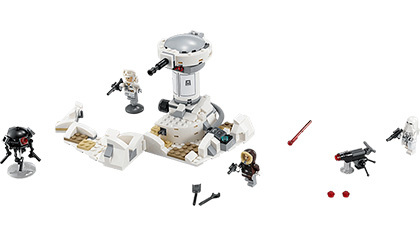 75191 Jedi Starfighter with Hyperdrive Booster Ring: Obi Wan Kenobi, Kid Boba?, Astromech? The successor for both the Wii U and the 3DS is finally revealed, and it... looks interesting. Those parts are going to be hell to keep up with. 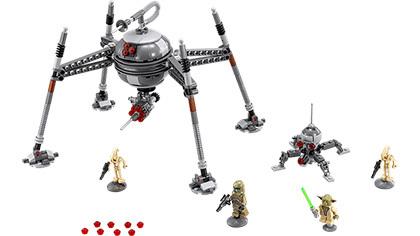 As revealed on the Disney Parks Blog today, a new Droid Factory set is being released on September 30. 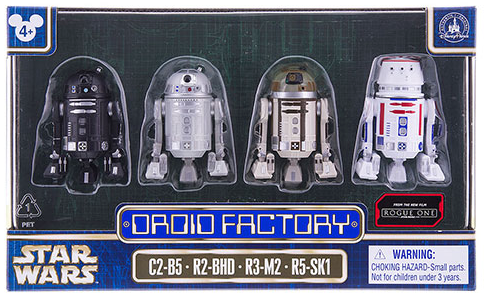 It's a 4-pack featuring droids from the movie: C2-B5, R2-BHD, R3-M2, and R5-SK1. IIRC, Phruby isn't able to help us out with these anymore, so I guess it's time to download the Disney Parks app or wait for someone else to make a trip to Disneyland/world. 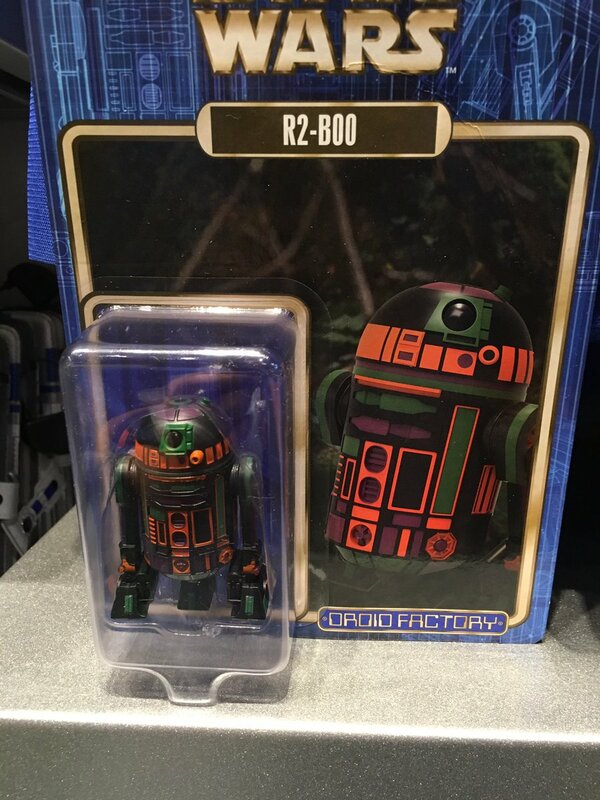 A guy on Twitter tweeted a picture today of what looks to be the next Disney BAD exclusive, a Halloween themed droid. As a Halloween fan, I NEED this. PAGING PHRUBY! The Original Trilogy / Boba Fett - ROTJ Big Baddie? Apparently ROTJ was originally supposed to deal solely with rescuing Han from Jabba, with Boba Fett being the big baddie of the film. 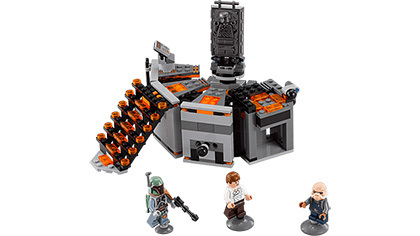 Then we would have gotten Episodes 7-9 which would have been Luke taking down Vader and Palpatine. Pretty interesting stuff! 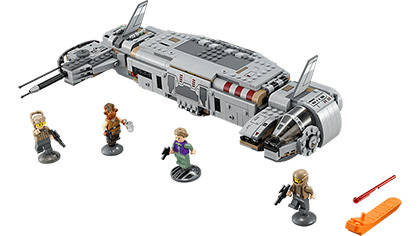 I'll wait to decide on these when (if ) pics leak out, but already owning three of these figures doesn't exactly make me want to rush out at midnight to fight 15 people over 2 cases again. 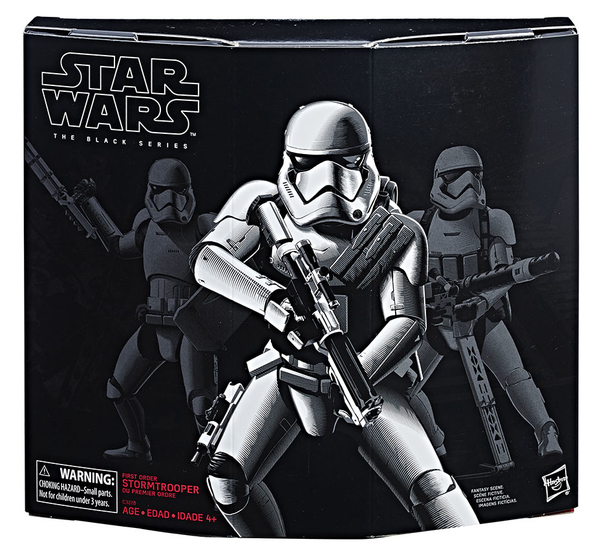 These are hitting stores now, I saw a bunch at Target. 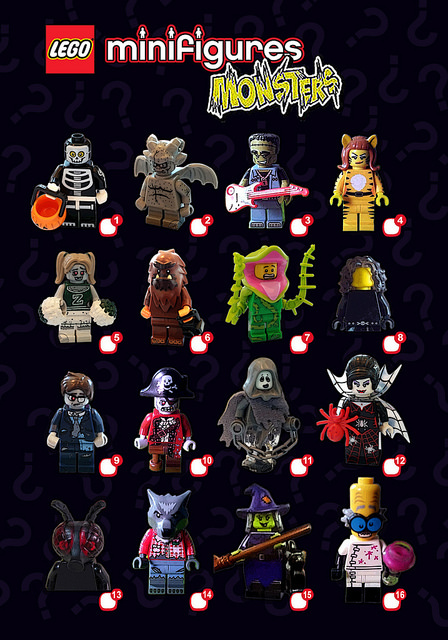 These are the Monster/Halloween themed minifigures and are very cool. Snagged a few randomly at Target last night and ended up with the Grey Cloaked Ghost, Skeleton Trick or Treater and Cat Costume Girl. Can't wait to pick up more of these. I can easily see them making a Julie Newmar Catwoman with the Cat girl's new headpiece. All Star Wars comics purchased by 1/1/2015 will remain in your collection. All yours for only $300... and only available for a week!